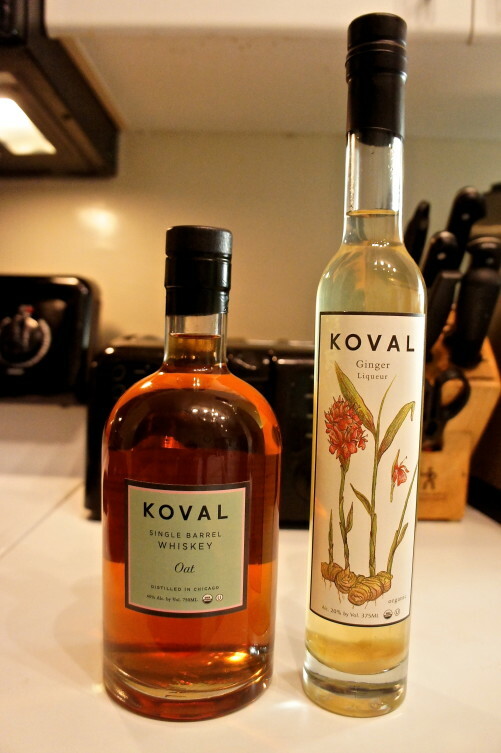 Good Food on Every Table recently posted a story about Chicago’s Koval Distillery and its role in establishing and growing the craft distilling industry in the city and region. But readers don’t live by words about craft spirits alone. You want recipes! And with another cold January weekend coming up here in Chicago (and probably where most of you are), the formula for a nice hot toddy seems appropriate. Fortunately, I happen to have one that Koval itself provided for a piece I wrote for Edible Chicago magazine a couple of winters ago. It quickly became one of my favorite warm cocktails, a perfect nightcap for one of these long winter days. This recipe recommends two of Koval’s excellent products: its 100 percent oat whiskey and its ginger liqueur. As with any recipe, you can mix and match from whatever you have on hand. Koval will be participating in FamilyFarmed’s Good Food Festival & Conference this March at Chicago’s UIC Forum. Sonat Birnecker Hart — who founded and owns Koval with her husband, Robert Birnecker — will discuss the distillery’s growth and influence during a panel on Good Food Success Stories at the event’s Financing & Innovation Conference on March 19. Koval will also be providing samples of its products at Localicious, one of Chicago’s premier annual food and drink tasting events, on Friday evening, March 20. By the way, that original article in Edible Chicago has other warm winter cocktail recipes provided by craft distillers in the Midwest region, so please check those out as well. Two of the other distilleries in the piece — New Holland of Holland, Michigan, and FEW Spirits of Evanston, Illinois — also are confirmed as participants in the Localicious event. Instructions: So easy. Just stir all of the ingredients into the tea. 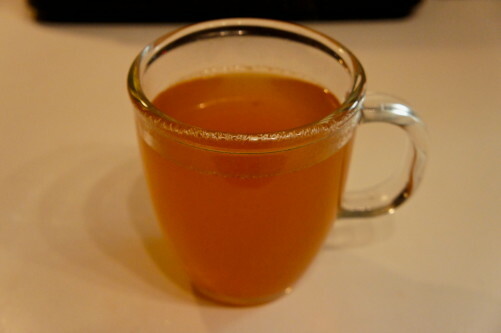 * I have enjoyed Celestial Seasonings’ Lemon Zinger and Tazo’s Green Ginger and Wild Sweet Orange teas in this recipe. This entry was posted in Cocktails, Craft beverages, Food Artisans, Food Entrepreneurs, Mixology, Spirits and tagged cocktails, Edible Chicago magazine, FEW Spirits, food artisans, Food Entrepreneurs, Good Food Festival & Conference, Good Food movement, Koval distillery, Localicious, New Holland spirits, winter cocktails. Bookmark the permalink.